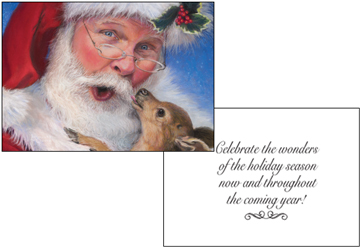 Once a year Santa trains up his youngest reindeer to eventually fly his sleigh. 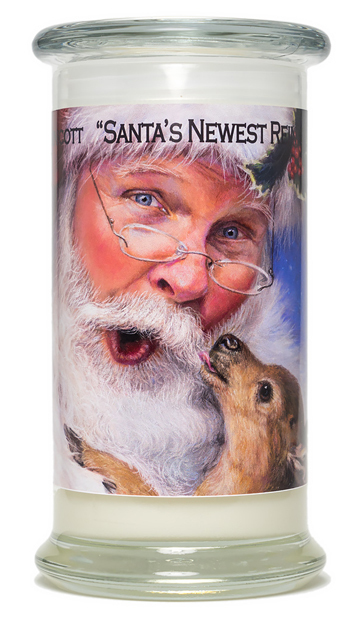 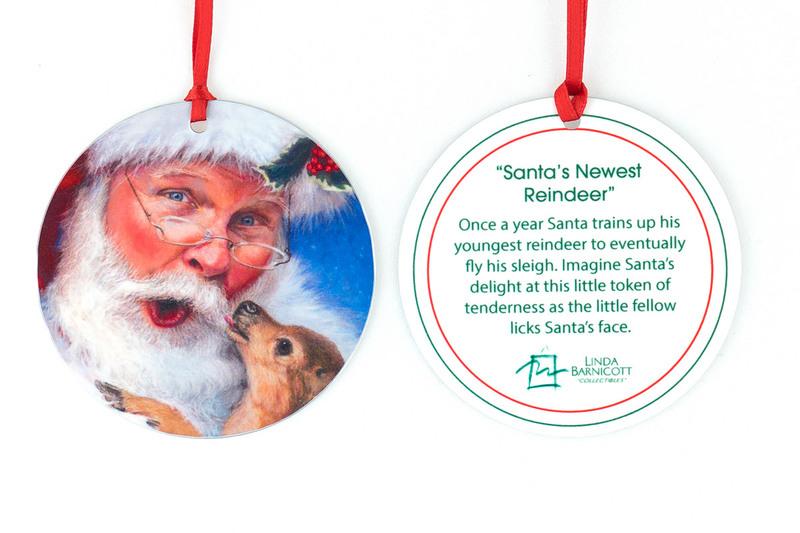 In “Santa’s Newest Reindeer” you experience the affection between his newest reindeer and himself as the little fellow licks Santa’s face. 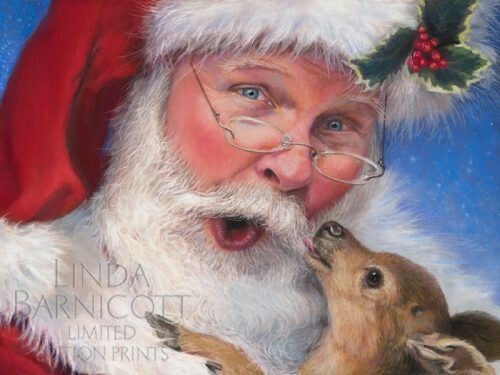 In this cute, never-before-seen painting you experience Santa’s surprise and delight at this simple token of tenderness. 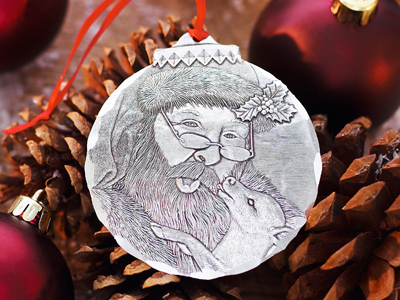 If you love furry friends and the magic of Christmas, this companion print to “Shhhh!”, the first release in the Jolly Old Elf series, will be perfect for you.